Today, I came across two great micro scale creations. 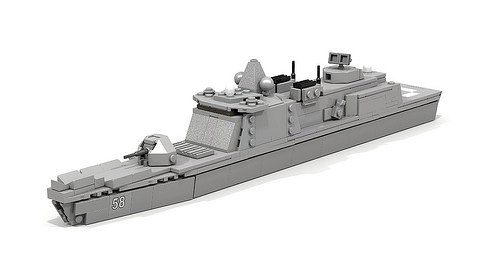 The first was this stealth missile boat built (virtually) by Evan Melick (Legoism). It really captures the look and feel of this type of sea-craft. In fact, it’s a style of ship that I’ve long wanted to build at minifig scale. It’s great to see that the shapes can be achieved in a manner pleasing to the eye. 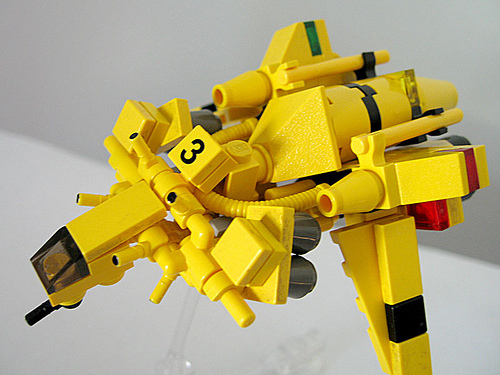 Next up, is a lovely little space ship by Vaughan James (legovaughan). Just look at the angles! I love all the various small and compound angles come together to give a cohesive form, while lending the appearance of extra detail. It’s as if the power loader from Alien and a drop ship mated.